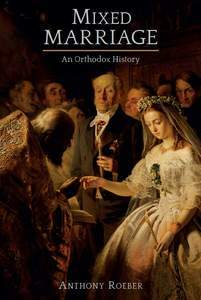 Fr Roeber's excellent book offers a lucid and fascinating history of marriage and its relationship to the Church, the authority of the bishop, pastoral practice in relation to the administration of the Mysteries (how can a couple sharing in the sacrament of Orthodox marriage not be allowed thereafter to share in the Eucharist from which it flows?) and how that important, but often ill-defined term of oikonomia can address the issue of mixed marriage today. The study's strength is that it looks to the historical documentation of what happened in relation to mixed marriage in Orthodox past history, rather than following what is vaguely 'supposed' to have happened. Brilliantly and elegantly written, with a calm and surefooted perspective, it offers great interest for the specialist and layperson alike. This book will surely become a standard work on the subject. —V. Revd. Prof. John A McGuckin. PhD. DD. DLitt. FRHist Soc. Emeritus Professor of Byzantine Christian Studies, Columbia University & UTS. —This study provides valuable background information and poses difficult questions regarding the challenge of mixed marriages in the Orthodox Church, and is beneficial for anyone working to address this crucial pastoral and practical difficulty, as well as for those interested in the ongoing work of Christian unity.